Beautiful! I love all the progress pics you've shown us so far. That is just so gorgeous!! I am doing the leaves on the bottom.. I will make a post soon. Yours inspires all of us it is so pretty! I'm glad I started before you finished it:) It's looking great! Nicole, you are so fast!! And what a great progress! I'm starting from the top, and now stitching the green ground area! 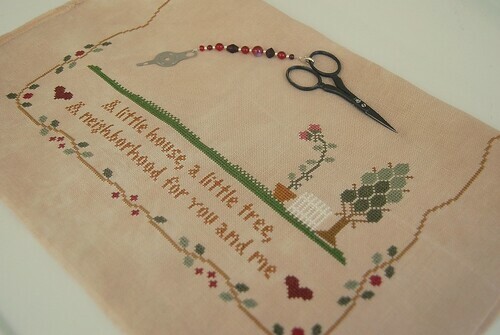 I will stitch it a little today and will post a pic of it later this week!